"For the past 6 years, David has provided wonderful catering service for All of our parties. David is a master at providing delectable delights, savory entrees and professional service for all occassions. When we think of catering, we immediately think of Jive Turkey Dip. We will continue to use his business for years to come!" "Jive Turkey Dip is Delish! Its a snack that you can't stop eating.....with the mix of cheeses and spices, its a perfect melody." 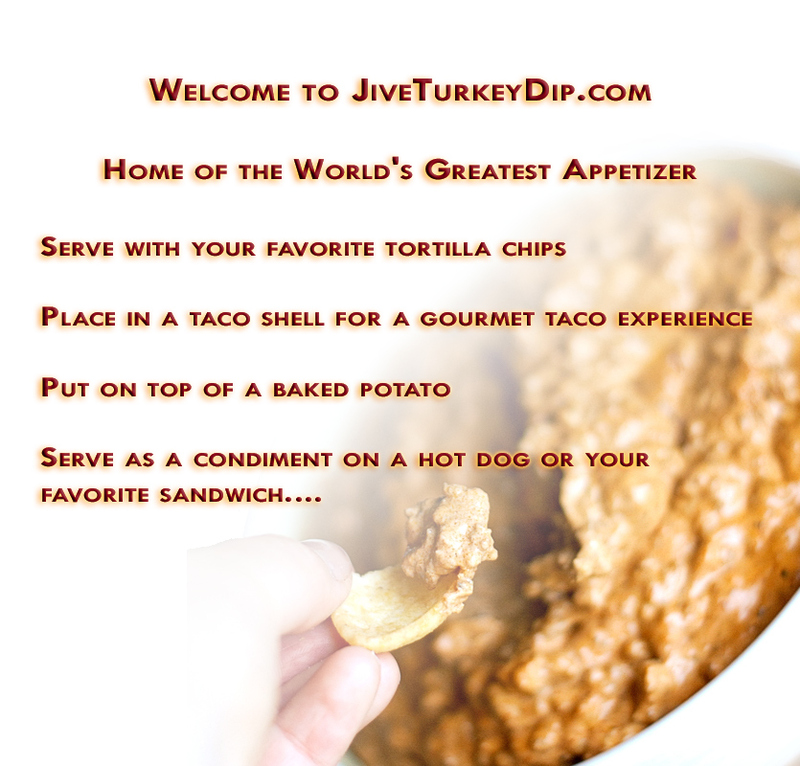 "Jive Turkey Dip has been the star of the show at all of my get togethers!" "Simply put......the Dip is off the chain.....and worthy of being on the grocery aisle. Whenever I've purchased Jive Turkey Dip it seems to dominate the conversation with friends and family. Love it!"